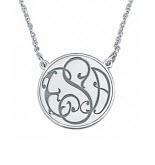 You can feel the love that went into this nice, solid, monogrammed ivy recessed necklace. The climbing vines give this piece a touch of nature which is perfect for Fall! 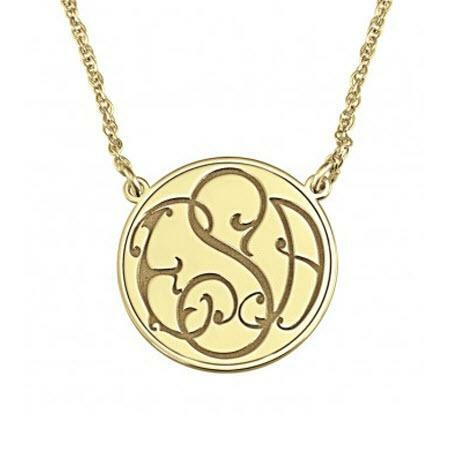 This necklace is 20mm (3/4 inches), includes a 16 inch or 18 inch chain and several metal choices to choose from sterling silver with white rhodium plating, sterling silver with yellow gold plating, sterling silver rose gold plating, 10k or 14k in white gold, yellow gold or rose gold. Throw on for a night out on the town, for tailgating fun or out for some apple picking fun! Price: $170.00 In stock! 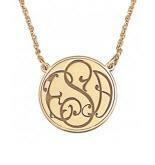 - Browse this brandOur products are custom made to your specifications. This product ships up to 3 weeks after your order is placed.